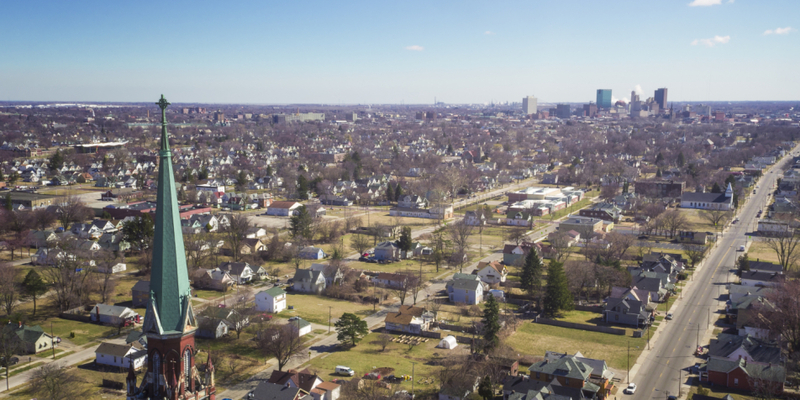 The Land Bank works every day to transform homes and lives in Lucas County. We hope you'll take the time to learn more about our services & programs, grab a fresh look at the properties we have for sale, and get better acquainted with the Board and staff that make the Land Bank work. A brand-new, interactive Properties page with maps & images of the properties we are offering for sale. We hope that it helps showcase our unique property opportunities in a fresh way that takes advantage of the best tools available on the web. A way to learn more about our Services from your own particular perspective. Whether you are a homeowner, a business, or a neighborhood organization, you will be able to filter our services and programs to focus on exactly what you need to make your home and your life better. A chance to learn more About the Land Bank and the great people who serve on our Board and staff - people who are committed to making a difference in neighborhoods throughout Lucas County. Web-based forms that help you Request that the Land Bank investigate a property or help you apply to make a property your own. Save paper and save a stamp! We would love your feedback - what are we getting right, what isn't working so well quite yet, and what can we do better. Contact us and tell all! Finally, thank you to the amazing local creative firm that helped us build this new site, Madhouse Creative.